One end of the park is Raj Bhavan and the other end is Indian Institute of Technology (IIT), Chennai. 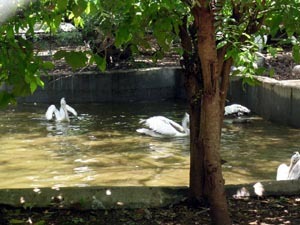 Adjacent to the National Park is the Snake Park. This park is house for a large number of Snakes from the deadly King Cobra to Vipers, Python and other reptiles. There are preserved specimens of reptiles in the park The Snake Park publishes periodicals. Adjacent to the Snake Park is the Children's Park. The parks are open daily, at 8.30 Hrs except on Tuesdays.